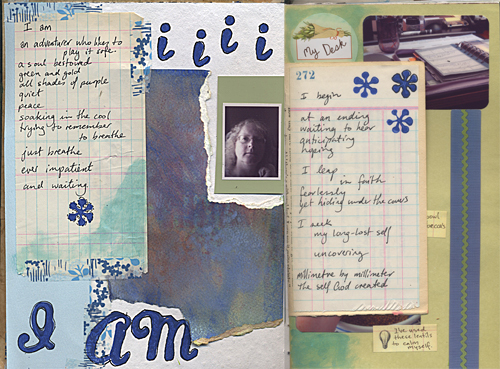 I am running about a week behind the Inner Excavatealong, but I thought I would share one art journal spread that I've done (in my Full Tilt Boogie journal). I'm at the beginning of a new chapter in my life, or will be as soon as work finishes up by the end of this month, so the read along was almost perfect timing. So glad I can go at my own pace. I think your pages are a great start and your poetry wonderful! All the luck to you on your newest path, Leanne! !